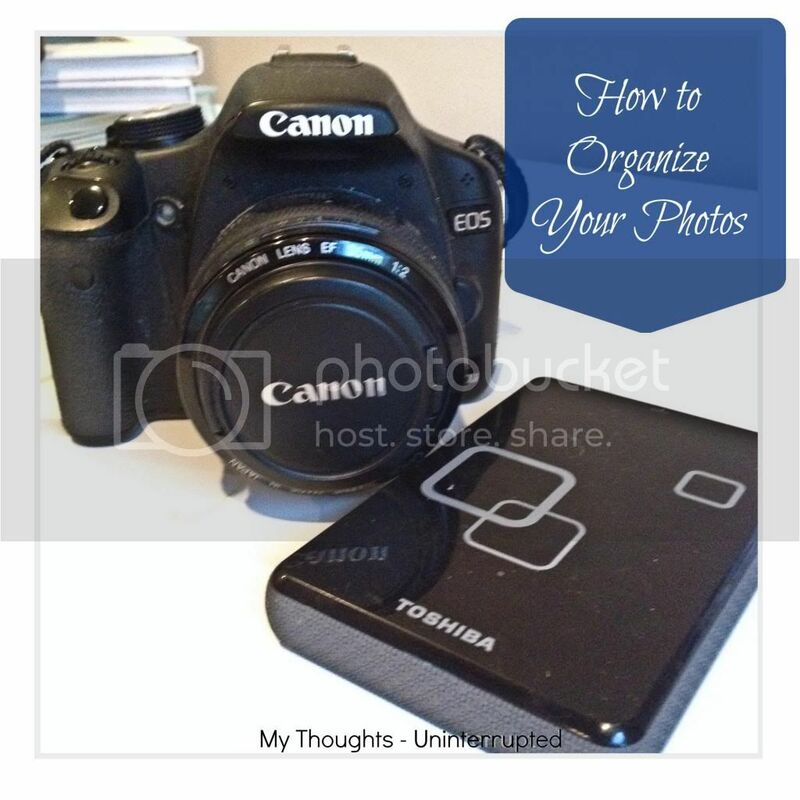 Photo organization is more important than ever before. I say this because the amount of photos we take now is astronomically more than we did 5-7 years ago. I'd venture to say that most of us don't even print our pictures out anymore (at least not the majority) because where in the world would we put them all?? Last year I took close to 8,500 pictures. That's a lot of pictures! I just got a smart phone a few months ago (Behind the times, I know!) and I'm betting that will even increase that number more. Without good organization, all this documenting I'm doing has a good chance of never even being seen by my children when they grow up. What a waste! 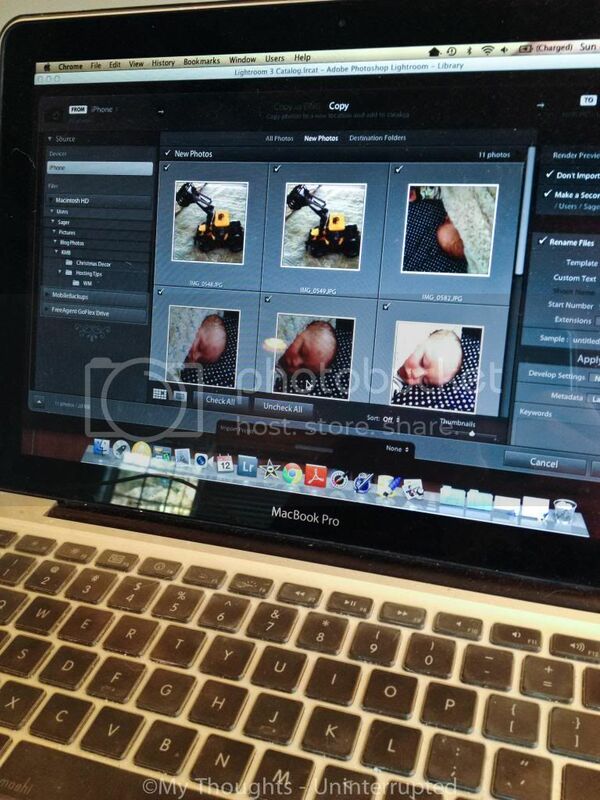 So today, I'd like to share with you how I digitally organize my photos or basically a glimpse into my "process". Everyday or perhaps every few days I hook up my DSLR and phone to my computer and upload every picture to Lightroom. Lightroom has been such a fantastic way for me to organize my photos, but no worries, if you don't have it the ideas I'm about to share will still be helpful. 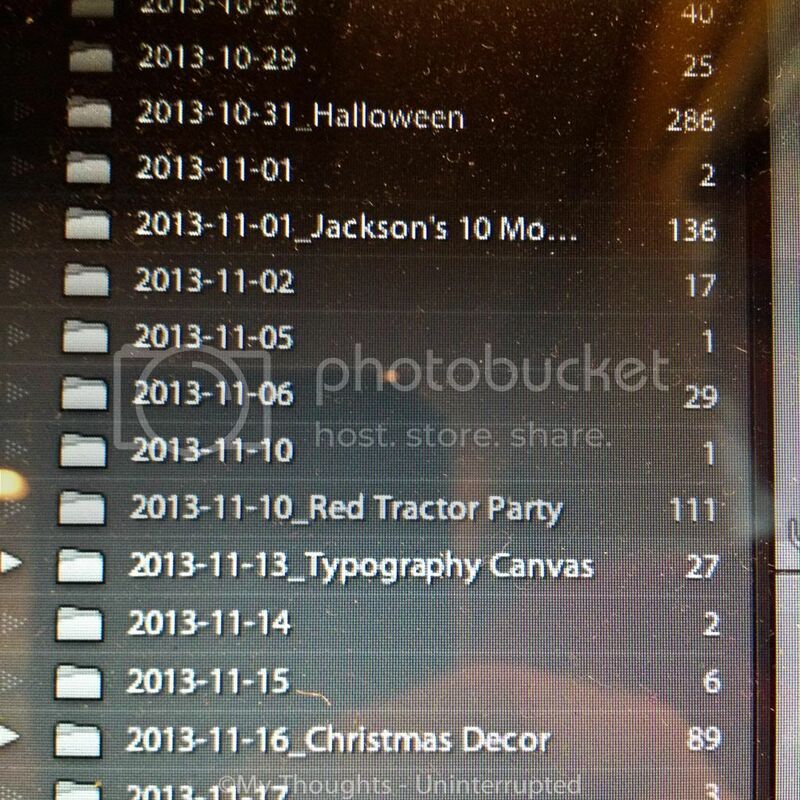 I have a "Pictures" folder on Lightroom and my computer that sorts everything out by year then the date. I then go through my upload and delete the ones that are blurry or what not and flag the ones that are my absolute favorites. I define favorites as the ones that are framable or possibly usable in a photo book at some point. I'm trying to do a little better at weeding out as I'm still left with quite a few "okay" ones. I just have a hard time parting with some of the candids! You just never know what you will want to look at years down the road. 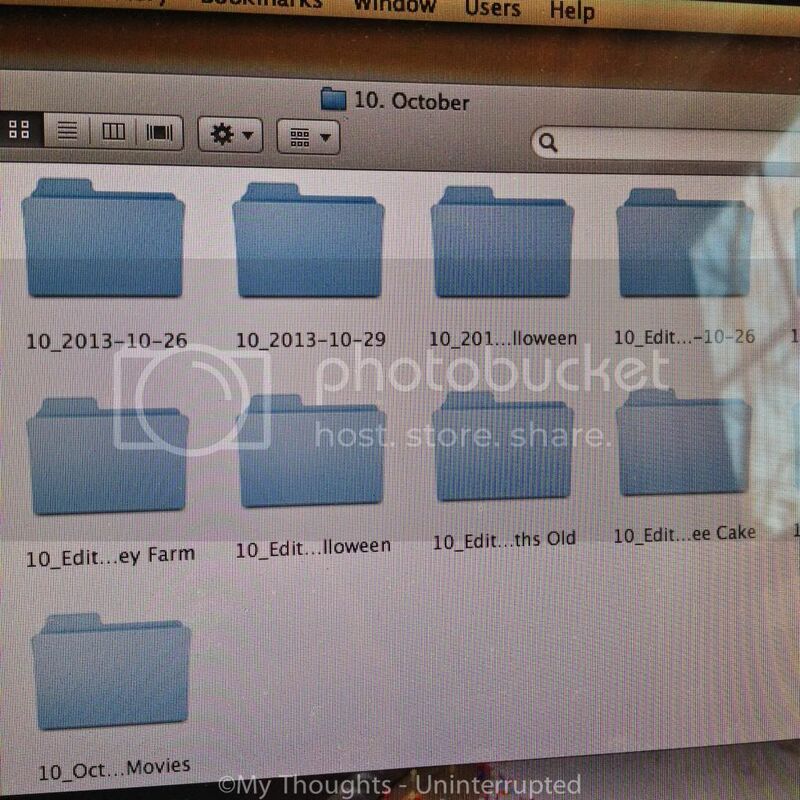 *Notice how few pictures are in each folder. Ok so at this point I edit the "favorites". And yes, I typically do all of this the day that I shoot the photos. I have found it is very, very important to not get behind on this. Do it while it's still exciting and then be done with it instead of letting it overwhelm you later. After I edit, I save my favorites in a collection in Lightroom. I label these in my back-up disk as Date_Edited_Event. And my "okay" photos are just labeled Date_Event. That way I can quickly find my favorites if I need them for a blog post or photo book. Some days are just labeled with a date and those are typically my random phone shots that just have 1-5 pics in the folder. I back-up my photos 4 different ways. I feel this is super important because you can never trust just one system. Everything has a potential risk of failure, but it's highly unlikely that all three systems would fail me at once. I use an online backup system to automatically backup everything on my computer and my external hard drives every single day. I personally use Crashplan although there are many services out there like it. It costs $5/month on a month to month basis...I did a longer term, I believe 4 years and it costs $4/month. I don't know about you, but peace of mind is worth a lot more than that to me so I'm happy to hand over my money. I've used it to restore accidentally deleted files. If your whole computer goes down you can either restore it online for free or you can have them ship everything to you on a hard drive for about $200 for a quicker restore. Considering I have all my memories on here....that is priceless. I also use my computers back up system to back up everything on an external hard drive. I do this less often than I should...every few days, but it should really be everyday! At the end of each month I transfer all of my photos to an external hard drive. I sort them much like I do in Lightroom. I also upload them to Shutterfly. I solely do this because it is typically where I order my photo books from and how I share pictures with family. They have an easy to use sharing site that will email your family once a week to share any new pictures you choose to share with them. 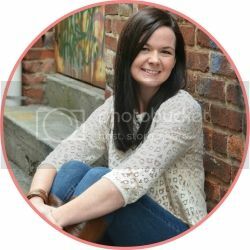 I previously used Kodak as my go to photo site and was greatly disappointed to learn that Shutterfly does not offer high resolution downloads. If I had not backed up my pictures elsewhere I'd be stuck with low-res quality pictures if I ever wanted to order from any other site! **Side Note** I know we are talking mostly about pictures here, but I do the same thing for my videos. I separate all my videos from my pictures into their own little folder each month. At the end of the month I'll put together a highlights reel of sorts using iMovie in hopes that maybe one day my kids will actually watch it instead of having to sort through hours of video to find the good stuff! Oh, this is the step I'm still working on. I try so hard to think about how our children are going to be able to sort through all of this documentation one day. If I took an average of 8,500 pictures every year for the next 18 years that would be 153 MILLION pictures and probably a years worth of hours of video. No one is ever going to sort through that people! At the moment, I make a year end video using all my monthly highlight reels and stick it on a DVD as well as my back up disk. I also make a yearly photo album using my "favorite" pictures and a yearly Instagram only photo book to show more of our daily life. Minus the pictures I hang on the wall, I do not order prints. There are just too many! And where would I put them??? Lately I have been feeling the need to make the boys their own keepsake box of photos. I love photo books, but I just make one each year for the family and the photos are still not really tangible for the boys in the future. I'm hoping to order one of these for each of the boys soon to put my absolute favorite photos in it each year and perhaps put together some sort of disk with extra photos and video for them to go through one day. I don't want all this work to go to waste! How do you make your photos/videos tangible for the future generations? I have all my pics on Flickr, not an external harddrive....Flickr don't fail me now! Though I don't have children, I too take an unmanageable amount of photos! 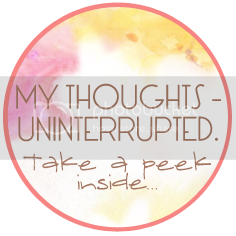 I tried going through my external the other day, and I was already too overwhelmed! Thank you for this insight! !